His Excellency provides us several examples of love and forgiveness in the Yemeni government. The first case is that of the 1990 unification of the North and South. Before the end of the war, amnesty was declared for those who carried arms for the separatists. The important thing about reconciliation in any community is that it has a predominant effect on attitudes. It tends to reduce the attitude of hatred and promotes forgiveness for the mistakes that people have made. In addition, reconciliation produces societal harmony because love always prevails over hatred. 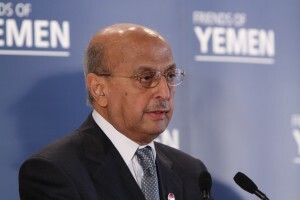 But in the case of Yemen there were many challenges. One of them was the extremists who considered forgiveness as a sign of weakness and not strength. The extremists used intimidation and threat to turn conflict that could have been resolved by negotiation into further violence. Fortunately, they did not prevail. A true leader like Abu Bakr Al-Qirbi will resolve to engage with his people, even amidst all the hardship and opposition. To engage with forgiveness is better than to fight with the sword pitting brother against brother. Abu Bakr Al-Qirbi’s belief in the fact that the more people put aside their personal agendas and biases for the betterment of the country, the further the country will succeed is very true and vital to his standing as a leader who has embodied forgiveness through his actions. Moreover, rising above those who opposed him and showing forgiveness regardless of the fact that they see it as a weakness is truly a show of his good character.